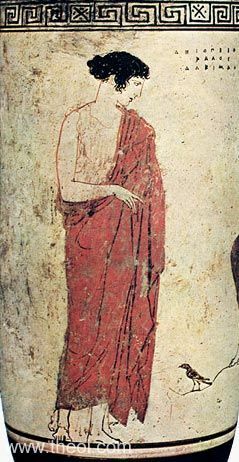 A Muse dressed in a red cloak faces one of her sisters who is seated playing a lyre (see other image). A small magpie is perched on the rock between them. The scene is labelled "Helikon"--the sacred mountain of the Muses.